Keep track of temperature - easy access history reports for proof of performance. Easy to install temperature tracking device and temperature probes. Package comes with 1 temperature probe. A second probe can be added at anytime. Reports every 15 minutes when refrigeration is off and every 2 minutes when refrigerator is active. 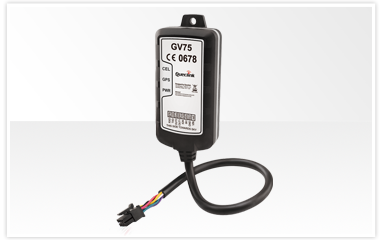 Easy to use configuration to set temperature alerts and control trailer duty status. Integrates nicely with our maintenance module, too. It doesn’t have to move! Our Temperature Probe Trackers can monitor and alert you of issues – well before you lose inventory to power outages, broken compressors, flooding and worse. The hardware has improved and the price points have come down to a make this a viable solution for just about any business. Temperatures range: -55°C & 125°C. What a great device! It is just over 4 inches tall, waterproof, has a backup battery and does magic. The temperature probes, on 8M cables, operate between -67°F to 257°F with best accuracy between 14°F and 185°F. If you like things in Celsius, we do that too. The device operating voltage can range from 8V to 32V DC. All told, a very versatile GPS tracking device, excellent for reefers and refrigerated containers. Our easy to use Temperature alert controls allow you to select the operating range, enable each probe separately and control whether the device is on duty or off duty, easily pausing alerts. The device also monitors runtime so you can use our maintenance module to schedule service by days or hours. We don’t delete data, so if you need historic temperature information, we have it.